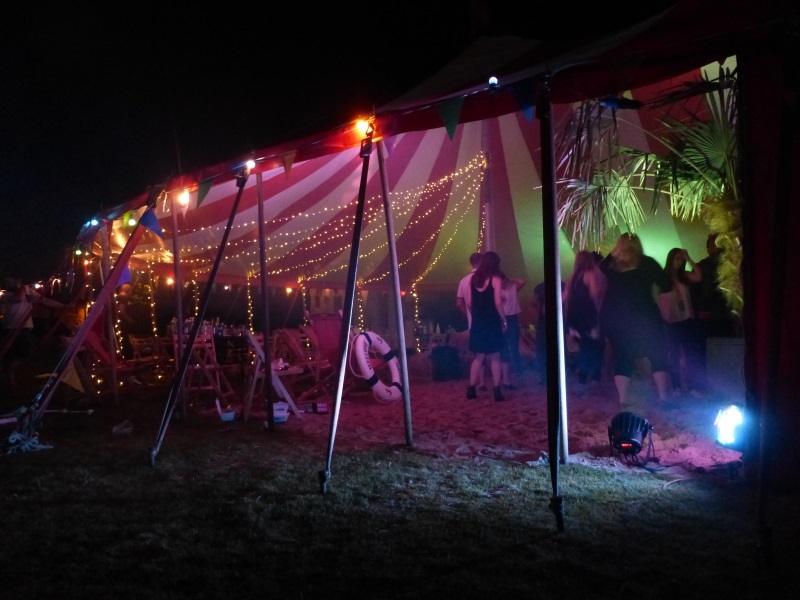 We are the marquee business that loves to be a little different! 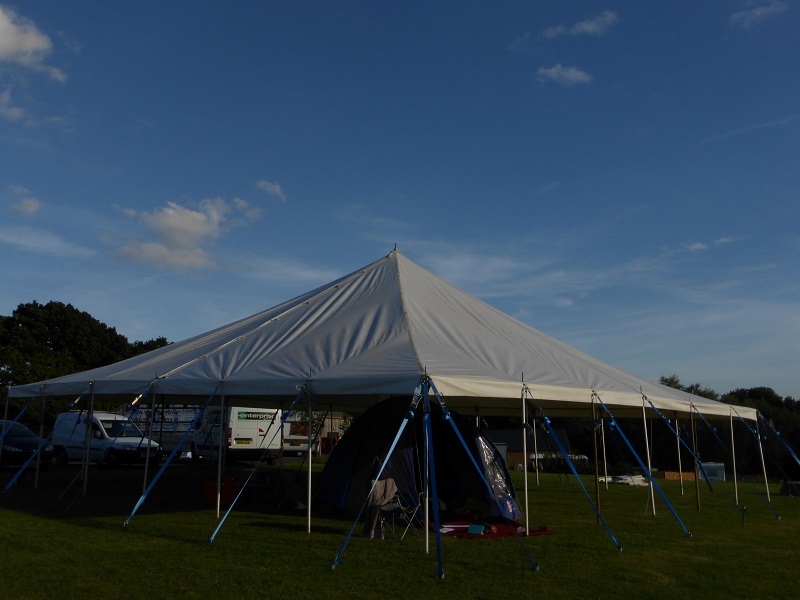 We offer a fairly unique range of tents, with a great variety of styles and sizes. 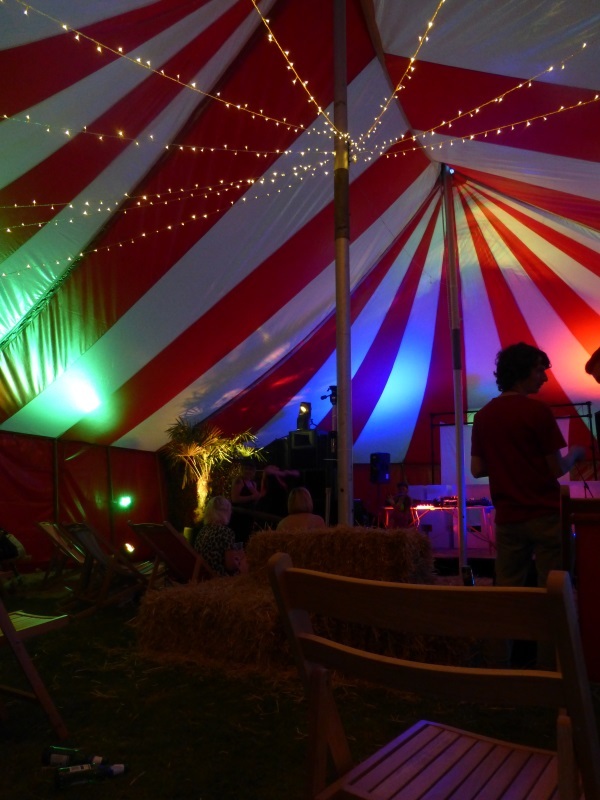 We only use professional grade marquees, and all our tents and linings are made from flame retardant materials. 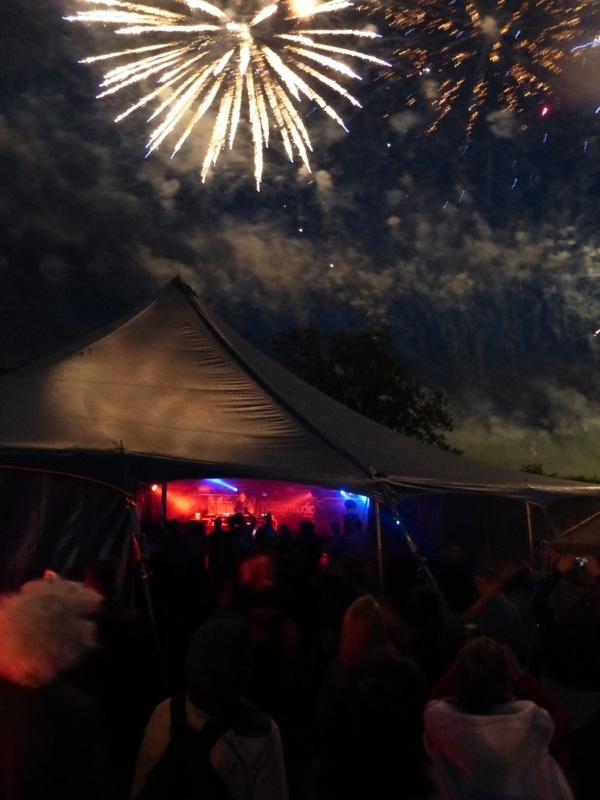 Browse through our range below, with guide prices, see the Weddings, Parties or Festivals and Events pages for sample package prices, or contact us for a no obligation, personalised quotation. 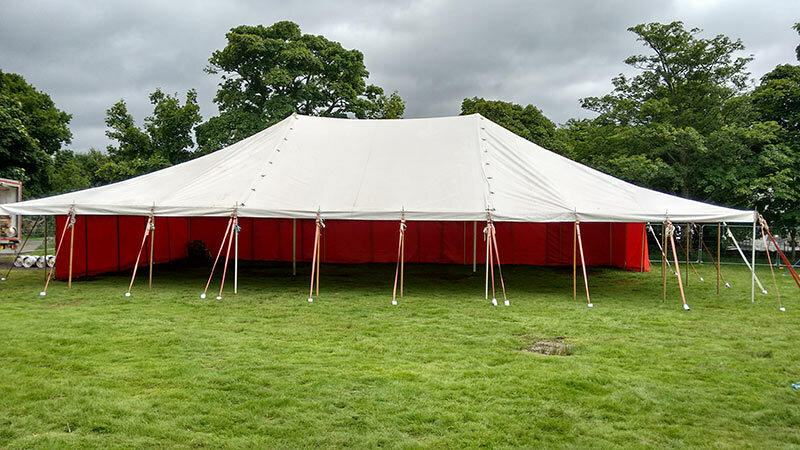 Our most versatile range of tents, with attractive hipped roofs and wavy edges (scalloped valances) , these marquees can be used on any surface, and can be easily joined together to make bigger spaces or interesting shapes. 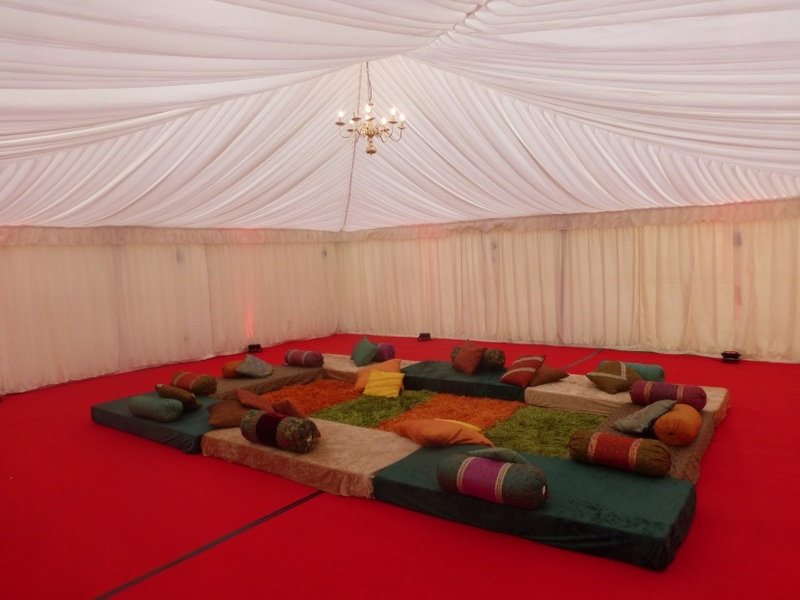 Available with smart white covers, or colourful green and white stripes, they can also have their interiors draped or lined in a choice of at least 4 different fabrics and styles for special events. 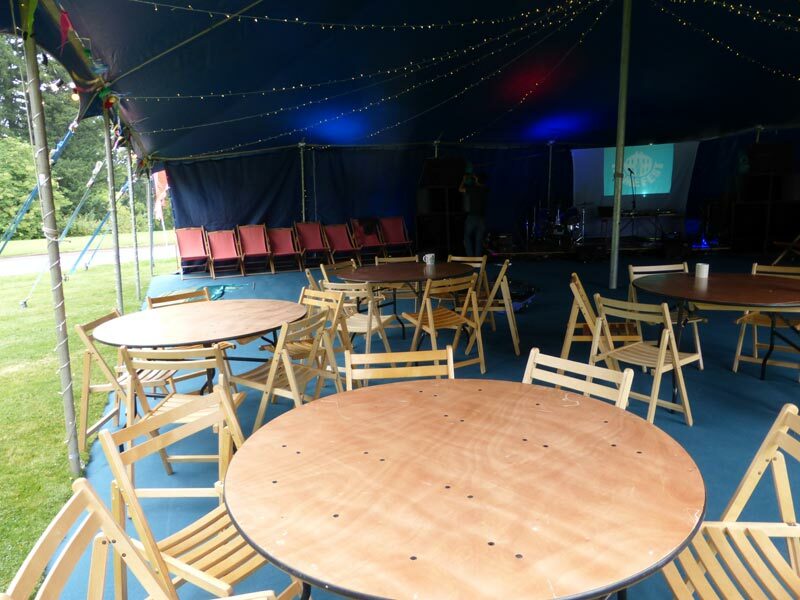 Suitable for events with anywhere from 10 to 200 people seated at tables. 20x20ft, 20x30ft, 20x40ft, 20x60ft, 20x70ft. Prices from just £80, plus travel. We do not charge VAT. 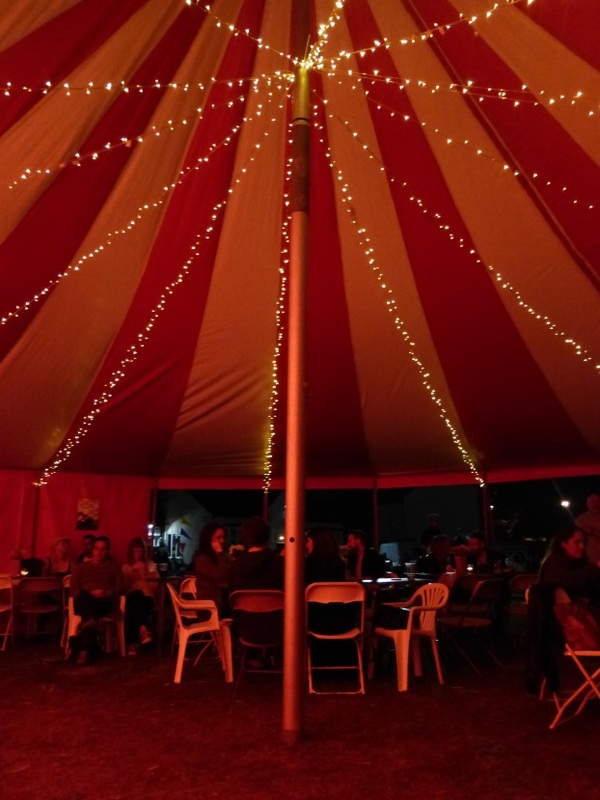 Our striking circus tent, with it’s red and white roof, round ends and tall king poles, instantly creates a wonderful atmosphere in any setting. 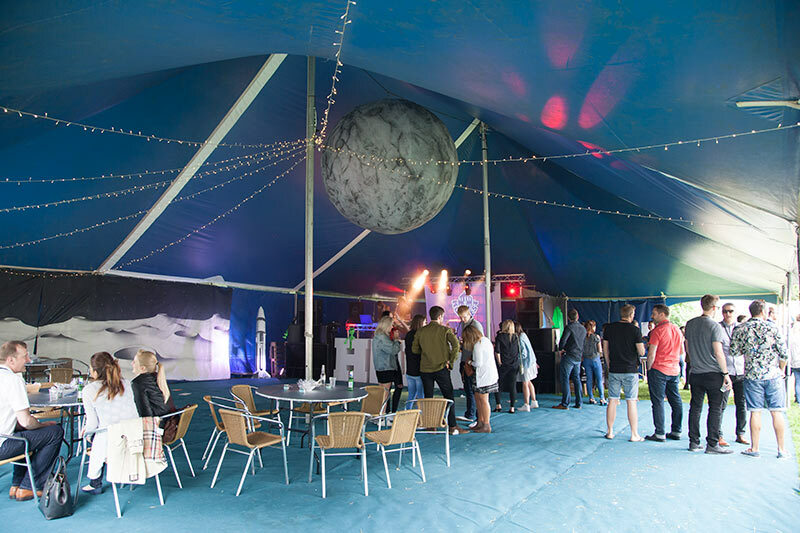 Available as a 40ft wide, circular shaped tent, or with two king poles to create a 40ft wide x55ft long tent for bigger events, it’s been used for festivals, corporate parties, gatherings and a vintage market, it is suitable for seated events for up to 150 people. Normally put up on a grass surface, tarmac sites may be possible also. Requires an extra 5ft on all sides for guy ropes and stakes. 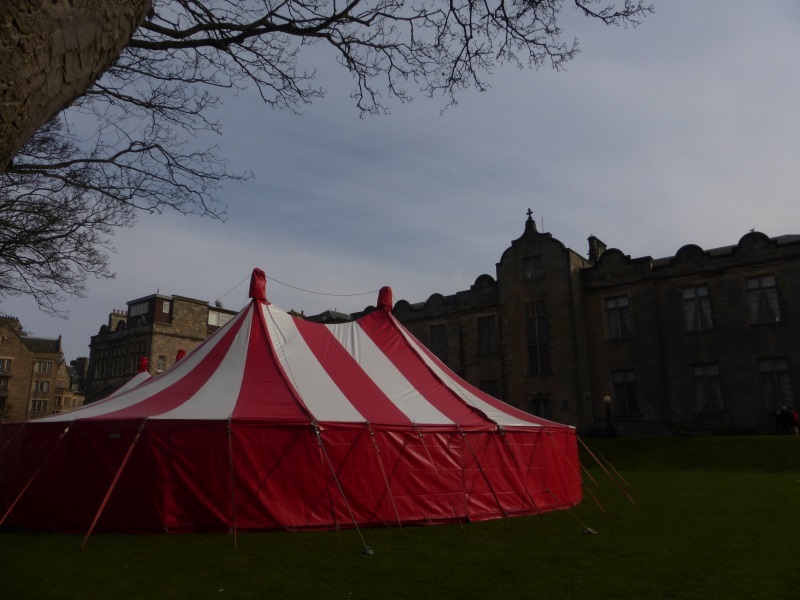 Prices: 40ft round – £750, 40x55ft – £1100, plus travel. we do not charge VAT. 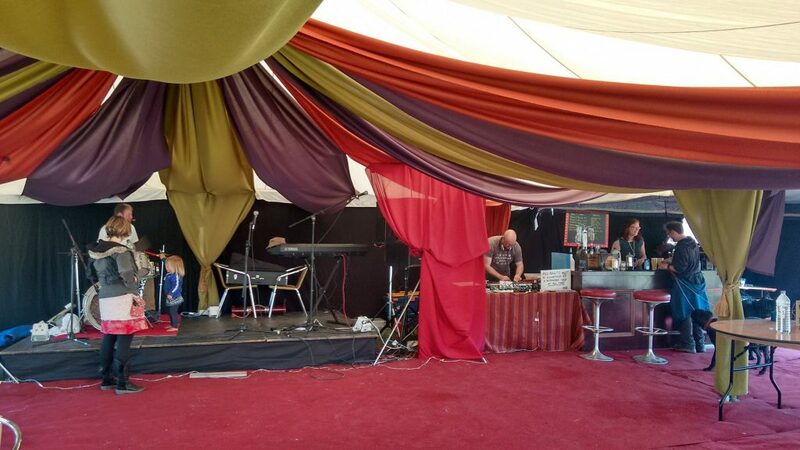 40x40ft, suitable typically for a stage and 200 or more standing, or 120 people seated at tables with space for a bar and dancefloor. Best put up on grass, tarmac sites maybe possible. Requires an extra 5ft on all sides for guy ropes and stakes. 40 x 40ft – £900, 40 x 60ft – £1350, plus travel. We do not charge VAT. 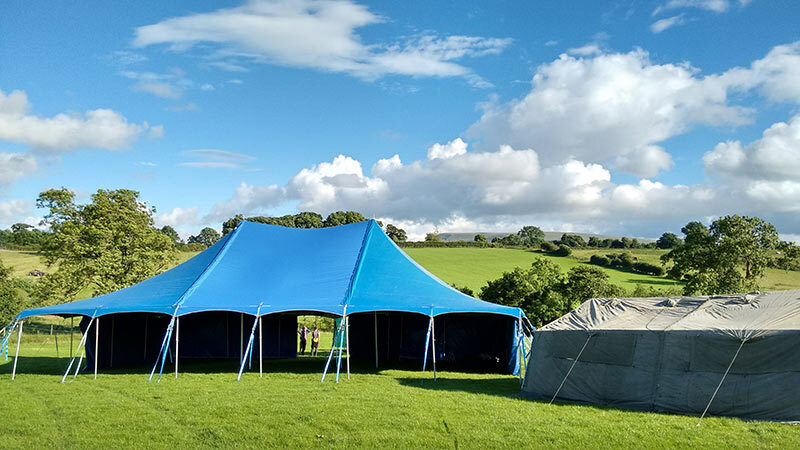 The newest addition to our fleet, available as a 40x40ft or 40x60ft, and in white, it’s perfect for large gatherings, beer festivals or music events. 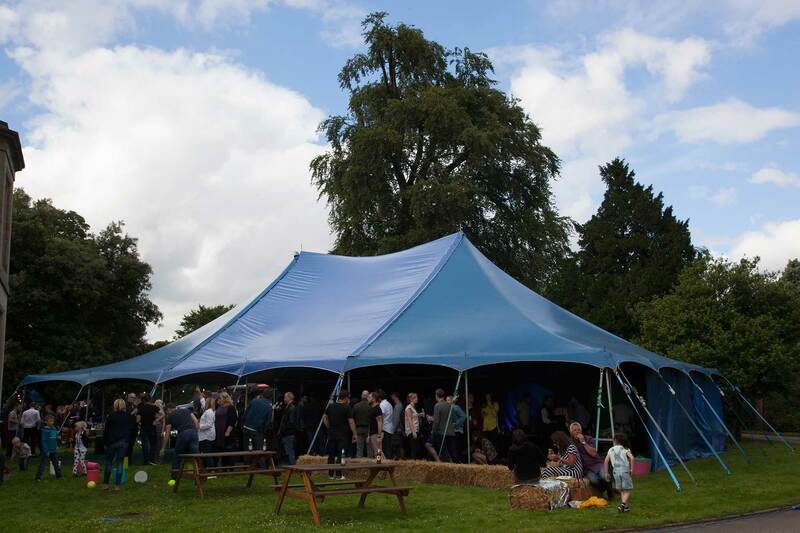 Not as striking as some of our other tents, but it’s great value, can be lined inside in a range of styles and can provide almost 2500 square foot of covered space in its larger version, and seat over 200 people at tables. 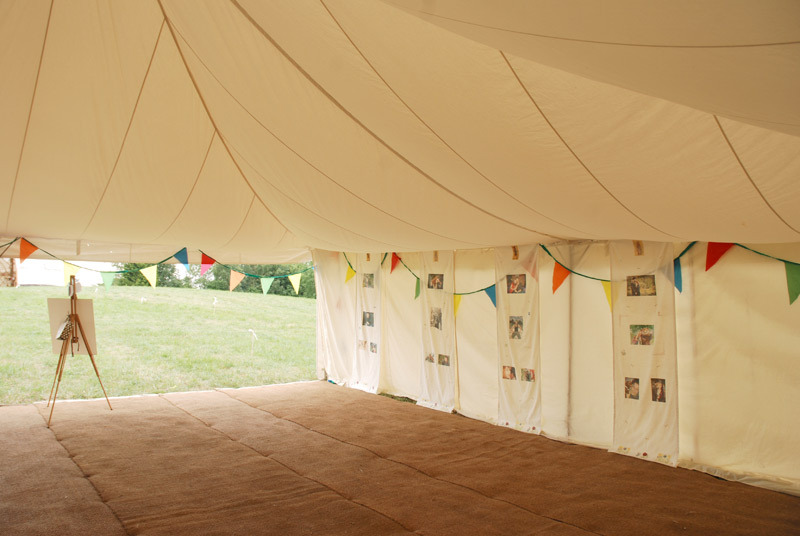 Prices: 40x40ft – £550, 40x60ft – £750, plus travel. We do not charge VAT. 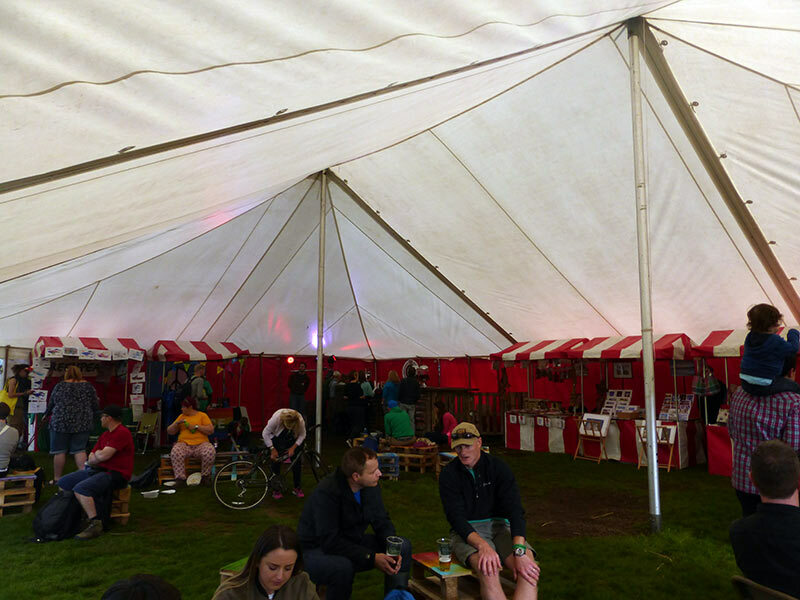 Our fantastic army frame tents have all sorts of uses and are able to be put up on any surface. 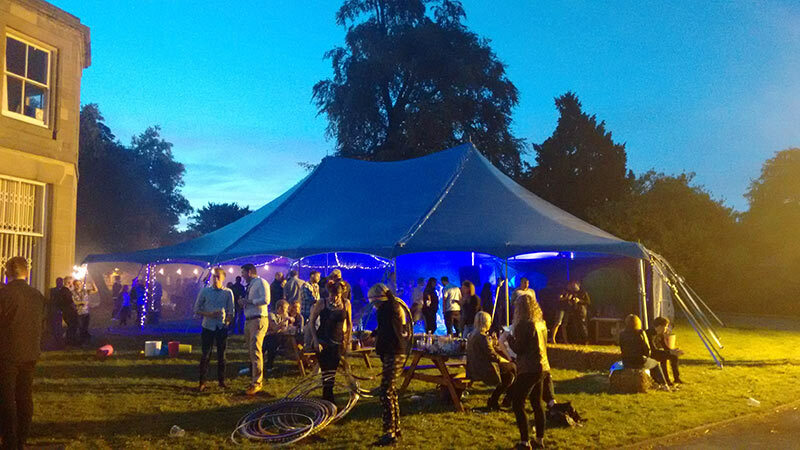 This is the tent that started our love affair with creating parties and events. 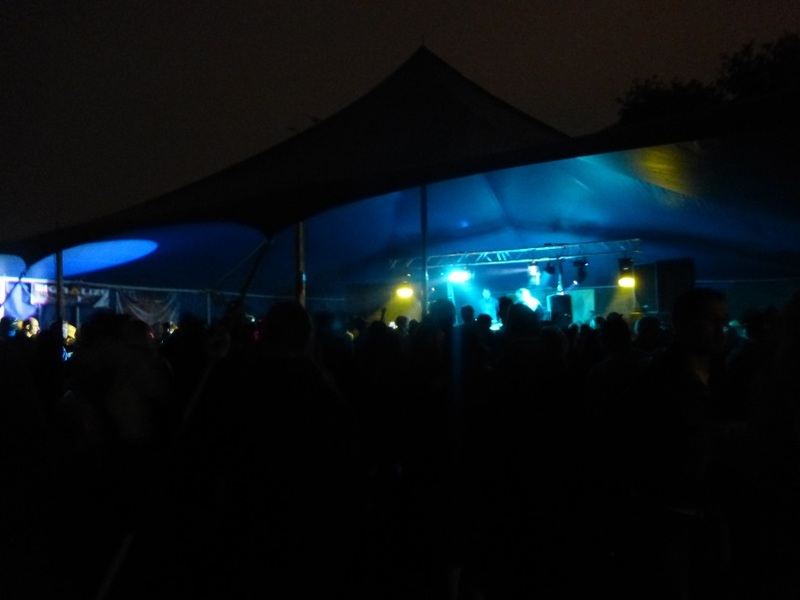 Our first one of these sheltered many a rave back in the early Noughties. 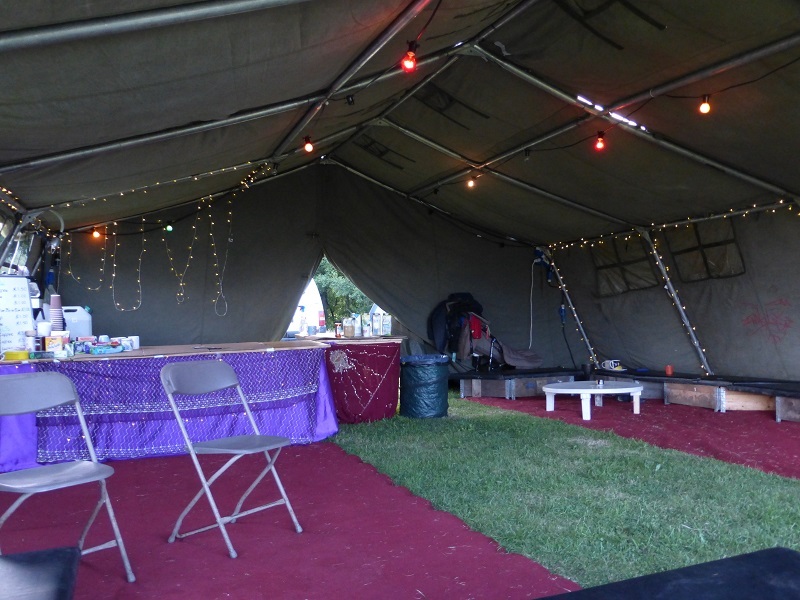 21ft wide, and 12, 24, 36 or 48ft long, these versatile tents are clad in olive drab canvas, which is light proof or blackout, so if the doors and windows are closed, it creates a dark space, perfect for a cinema tent, or dance party venue, or remove the whole front wall to make a stage cover. 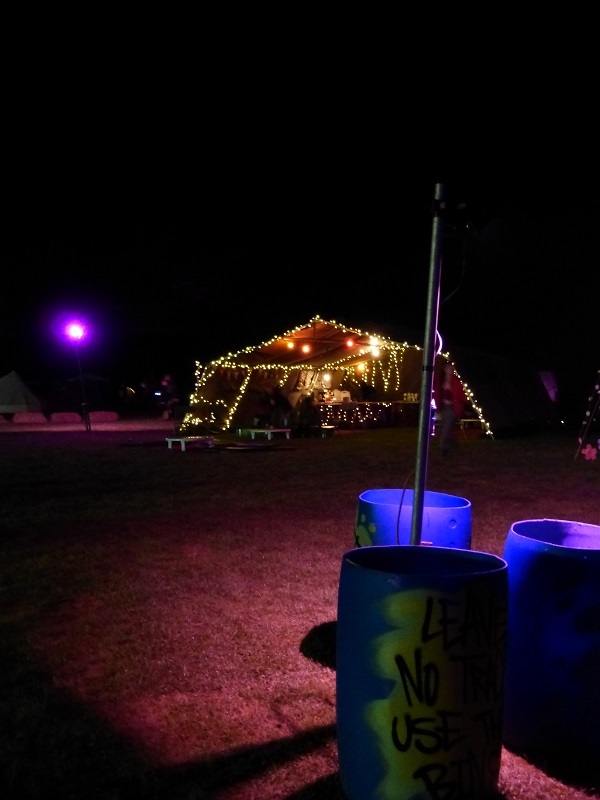 Great for themed events, beer festivals, reenactments or almost anything else too! Thanks for the e-mail and the service you provided. Top job in normal weather – exceptional in what you had to put up with! We will be in touch for next year and I will recommend you to anybody I know. Feel free to use us as a reference for other companies if that helps. Matt did a first-class job at very late notice! Real pride in the space he created for us and excellent attention to detail. We were really happy with everything you and your team did for us. 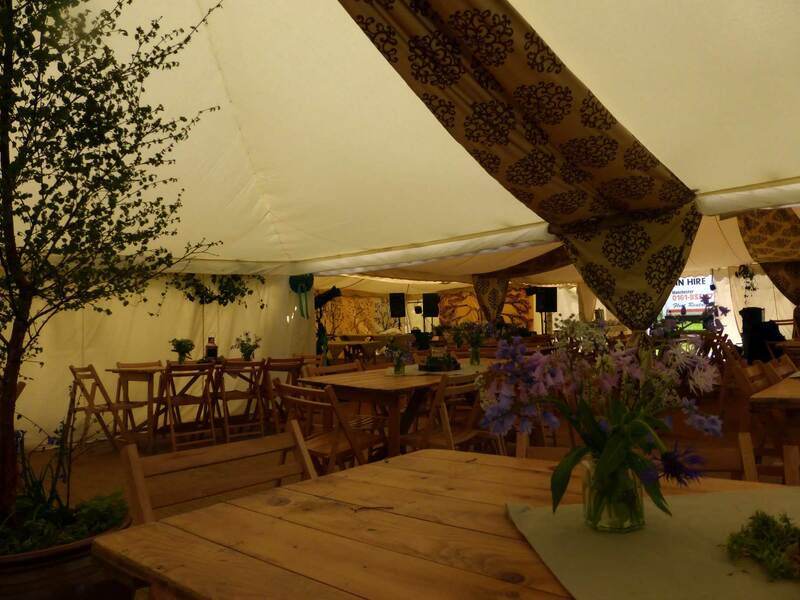 The marquee looked lovely, it withstood the rain, your service was calm, gentle and honest- attributes that are good for the soul whilst planning a wedding! Thanks again for all your hard work. I’m really glad Liz recommended you to us. 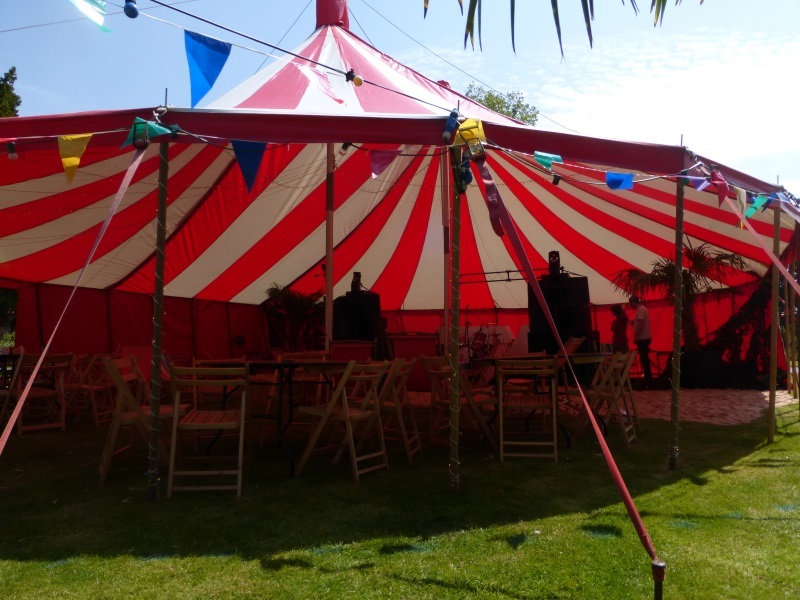 Thank you so, so much for all your hard work – you did a brilliant job from start to finish and were a pleasure to work with; your attention to detail was fantastic, everyone commented on how beautiful the marquee looked and how good you were to work with; you should be very proud. Brill, thanks for all your help! It was all great thanks, and I look forward to using your services in future. I just wanted to say a huge thank you from the both of us for the marquee that you provided for our wedding. From our very first telephone conversation you were really reassuring and extremely knowledgeable. 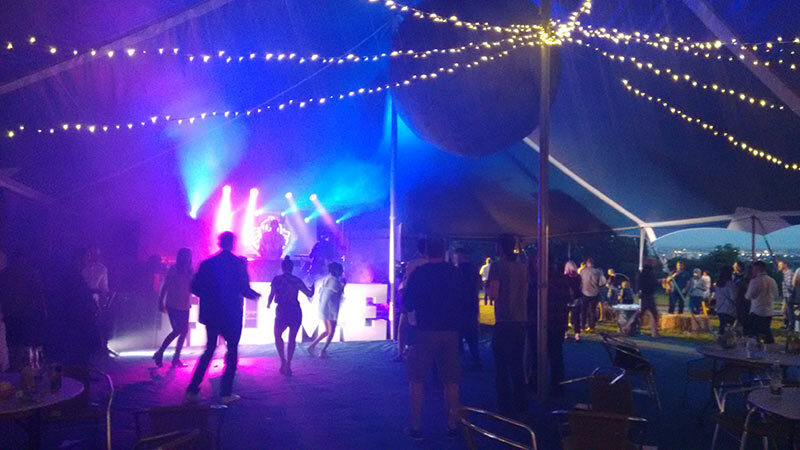 The dance floor was amazing and the and glitter ball went down a treat. You were a true professional and a delight to work with you, I shall recommend you to the village hall as a preferred supplier. Thanks again for helping us to ensure that our wedding day was a day to remember. We thought your service was great, you were easy to work with and dealt with the limitations of the site well. We would definitely use you again. Thanks for all your help! 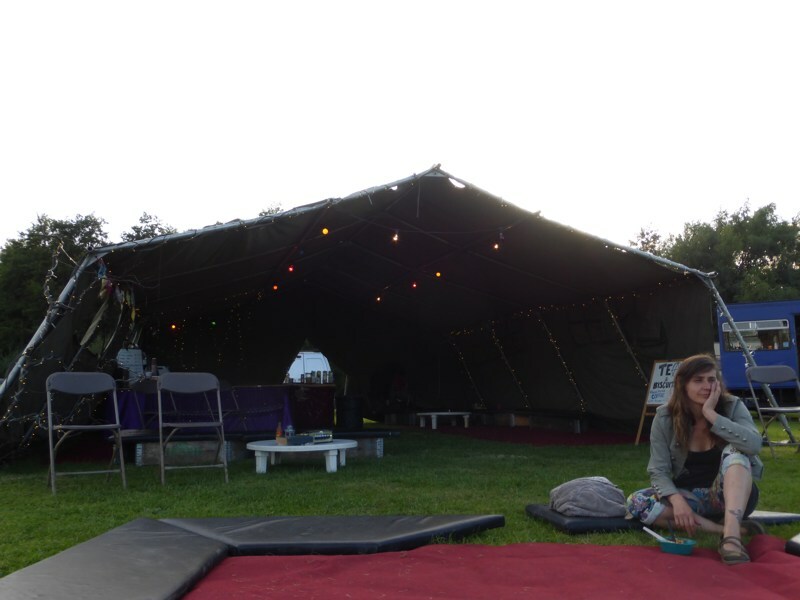 I wouldn’t hesitate in using Matt and his Festival Marquees team again or in recommending them. 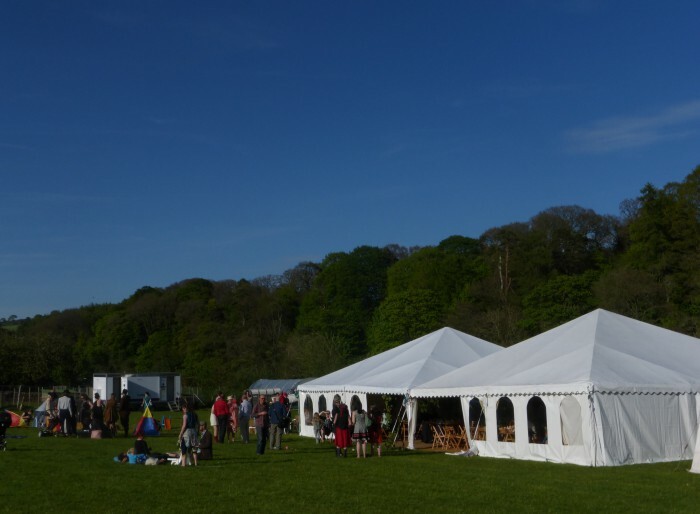 Throughout our wedding planning they were available to discuss our marquee options and make suggestions providing invaluable help at the beginning, something which was very much needed. Our wedding ran smoother than we could have hoped for and the service we received was second to none. Many thanks Matt. Matt, you legend! Thank you so much for your tireless work, and constant smiles, we couldn’t have done it without all your effort. Great price and hard work much appreciated! 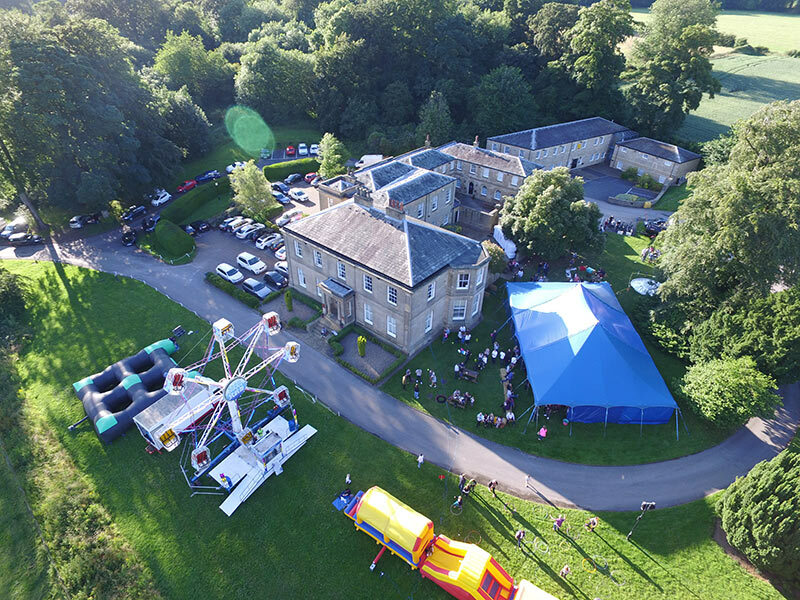 We provide a friendly, professional and personal service, alongside great value for money, and can’t wait to help you create your event. 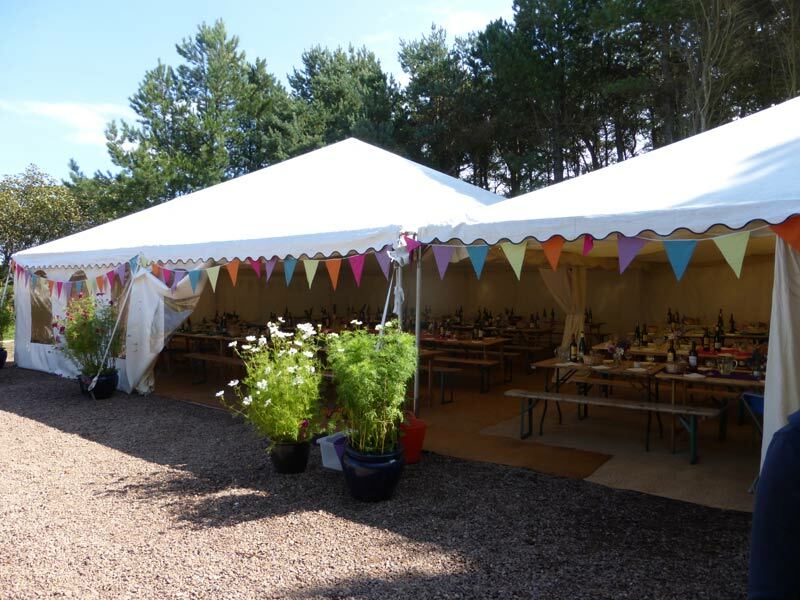 We can provide marquees, with or without extras, or simply help you with furniture or other equipment hire. Based in Manchester, we cover the whole of the UK. Contact us for a friendly chat, no obligation quotation, or any advice you might need. 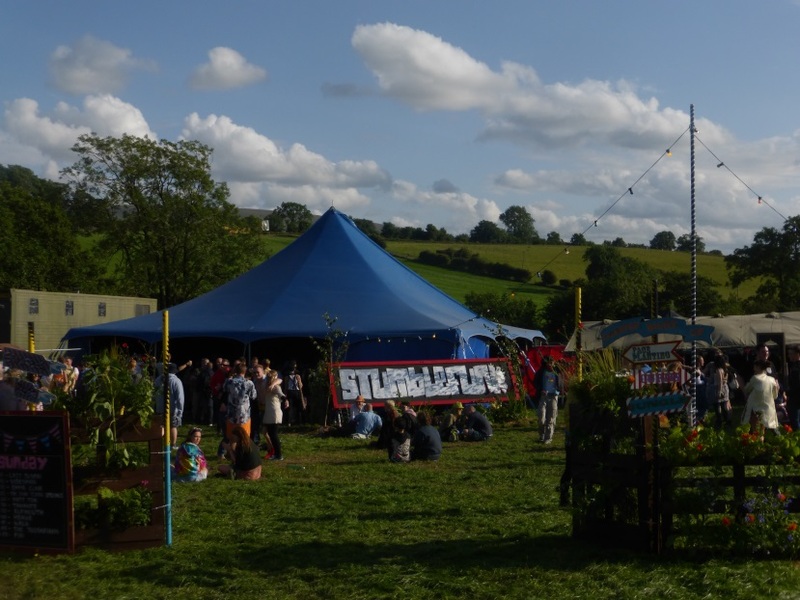 Copyright Festival Marquees 2016. All Rights Reserved. Design by SCRIBBLE.